Observation - stinkhorn - UK and Ireland. 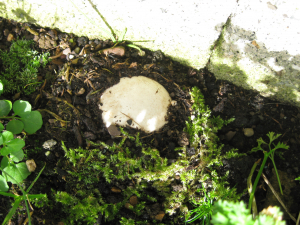 Description: About a month between the two photos, the white 'egg' appearing first, in October. About a month between the two photos, the white 'egg' appearing first, in October.